From network connections and e-mail accounts to online course materials and computer labs, to computer repair and classroom systems and much more, the Information Technology Services (ITS) team of staff and student assistants exists to provide professional assistance to college faculty, students, and staff for all their technology needs. Because the network is the gateway to technology, all residence halls, classrooms, labs, and offices all have both wired and wireless connections to the Internet. In fact you will find wireless access available in many outdoor locations on campus as well. One of the first things you will do once on campus will be to register your computer, phones, TV, gaming system, and any other device with our network. We provide all the instructions and support you need to get online when you arrive on campus. ITS is standing by to help. ITS will never ask you for your password or for you to verify your password. Be suspicious of any email asking you to do so. When in doubt contact us. Always use the link to change your password. ITS strongly recommends two-factor authentication. Read about it here. You can ship packages to our full service mail room before you arrive. The mail room is available at 727-864-8349 to answer questions. ITS operates a repair shop at no cost to students. Printing is available in the library and several other locations on campus through our Papercut system. Each student may print approximately 650 pages at no cost per year. A Copy Center is also available to students for all your printing needs. A general computer lab is available on a 24×7 basis in the Armacost library and there are 12 additional academic computer labs on campus. Students can borrow projectors, cameras, screens, laptops and other equipment from our Media Services group for short durations at no charge. 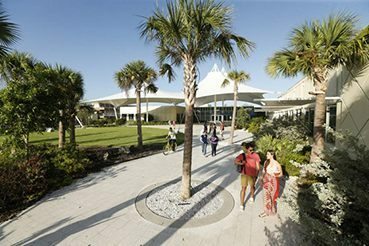 Eckerd College participates in the Microsoft IT Academy. You can take hundreds of courses online at your own pace. ITS is always looking for qualified students to join our staff. Contact us to learn how you might join one of the ITS student teams. Google Apps for Education (GAE) – GAE is a hosted suite of applications including communication (Gmail, Google Talk, Google Calendar) and collaboration (Google Docs, Google Video, Google Sites) tools. GAE also integrates with Google’s search engine and provides robust searching within all of these applications. Currently, Google provides 7GB of storage per user account. You can access the most frequently used Google Apps directly using the links below. Log in using your Eckerd College email address and password. Once logged in you can access other Google Apps the icon with 9 squares at the top right of each screen. Already have a gmail account? Here’s how to have multiple Google accounts open at once. Memory: minimum of 8 GB RAM. Generally more RAM is always better especially if you plan to do a lot of image or video editing. Hard Drive: 512 GB or larger. Highly recommend you purchase a Solid State Drive (SSD) for improved performance and reliability. Wireless: Any card that supports 802.11ac and WPA2 Enterprise. This should be standard on almost all laptops and all-in-one computers. You may need to add a wireless card to tower models unless you plan to connect via Ethernet as below. Ethernet: 10/100/1000 (gigabit) – as wireless network access has become more prevalent, some laptop manufacturers have stopped installing Ethernet cards for network cable access in certain models of laptops. We recommend having a USB Ethernet adapter, if you purchase a laptop without an Ethernet card. This provides you with an alternate way of accessing the Internet. Keep in mind that wired is always faster than wireless! Backup: We are a Google Apps school and Google provides us with unlimited storage. Even so, we suggest that you purchase an external hard drive and regularly backup your data. If you use Apple’s time machine you will need an external drive. Two terabyte drives are available for about $90. As an Eckerd College student you can take advantage of many discounts available through our technology providers. Our students are about 50-50 Mac to PC so either will work well on campus. This is largely a matter of personal preference. Most retail computers have a 1 year warranty; we suggest you upgrade the manufacturer’s warranty to at least 3 years. Note: Laptop warranties generally do not cover screen damage, such as cracking. Check with the manufacturer to see if they offer accidental damage coverage in lieu of the standard warranty. 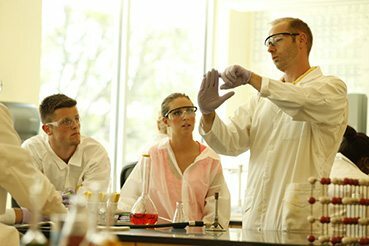 Students using personal computers at Eckerd, must be using active virus protection software that is updated with current virus definitions. “Current definitions” are defined as virus protection definitions acquired from the software manufacturer not more than two weeks old. Windows 10 comes with Windows Defender built in to the operating system but you can also download other antivirus applications if you have a preference. For macOS we recommend you download an antivirus application. There are many free and/or low cost options available. Please be aware that only one (1) antivirus program can be used at a time. 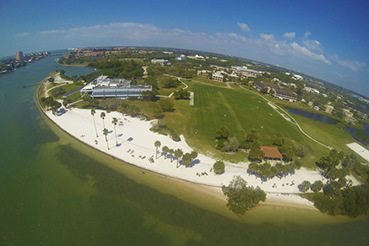 As an Eckerd College student, faculty member, or staff member you can take advantage of discounts offered to our community. Apple provides educational discounts for a variety of Apple products. Educational discounts on everything you need with savings up to 85% off commercial software list prices. Dell provides educational discounts for a variety of products. Diskovery.com provides educational discounts for software. HP provides educational discounts for a variety of products.